Today, while I was at work, Jen entertained the Wombats for the entire day. This is a pretty big chore and apparently it was pretty action packed. 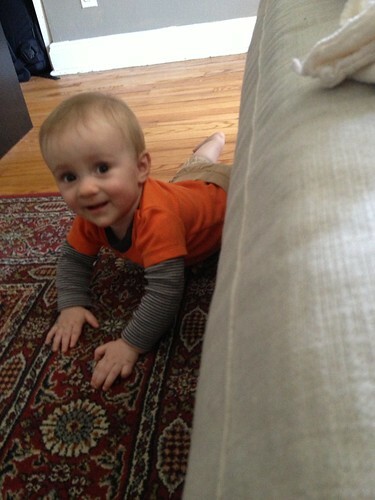 Martin learned how to scoot backwards which means he pinned himself against the couch and also learned how to reach under the couch to find dust bunnies to eat. Another stark reminder that we are very behind in our baby-proofing. Maybe behind is the wrong term since it implies that we've actually started. 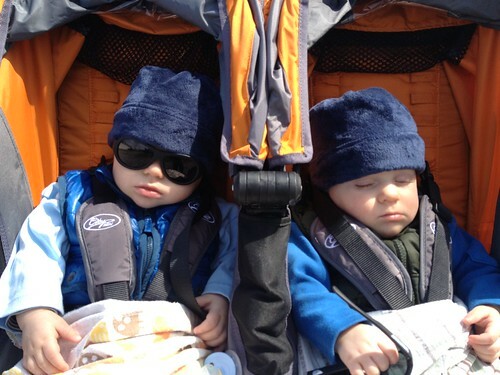 Later in the afternoon Jen took the guys to the beach where they both fell asleep to the sound of crashing waves. Much the opposite of the walk we took them on yesterday where they seemed invigorated. 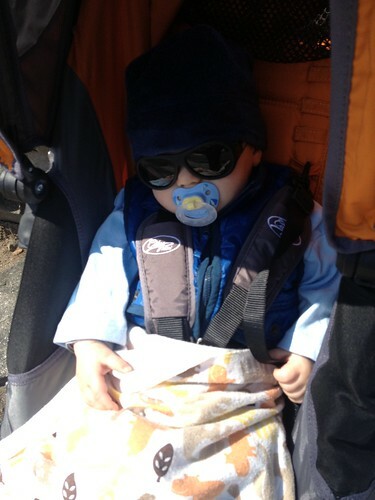 Elliott was as cool as a cucumber with his cool dude shades on. 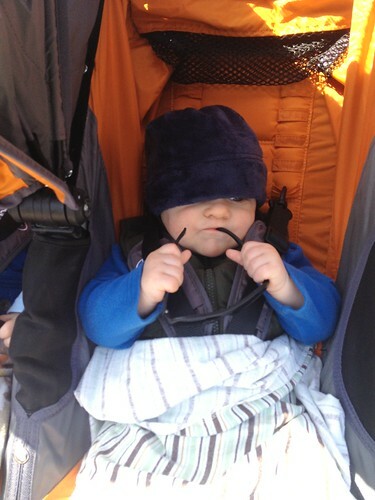 Martin, however, did what he normally does by looking like a crotchety old man. 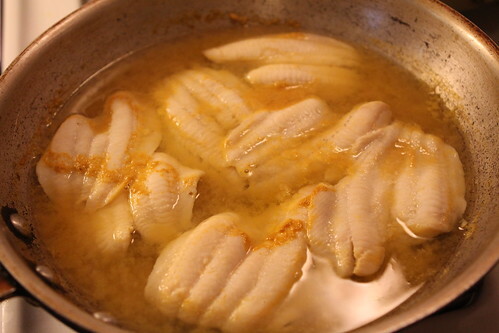 When I got home from work I quickly poached some flounder in an effort to give the Wombats their first ever taste of seafood. 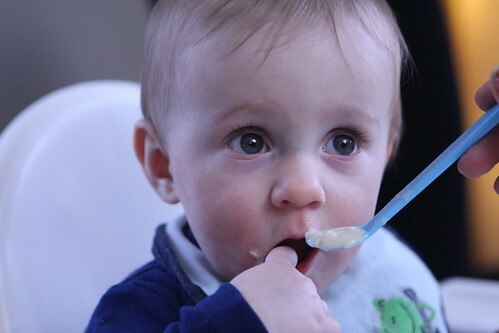 I poached it lightly in a vegetable broth then mashed it up in a cup and added a little rice cereal and milk along with a little poaching liquid. The flounder went over pretty well but they had a strange evening so they didn't quite finish everything in their bowls. 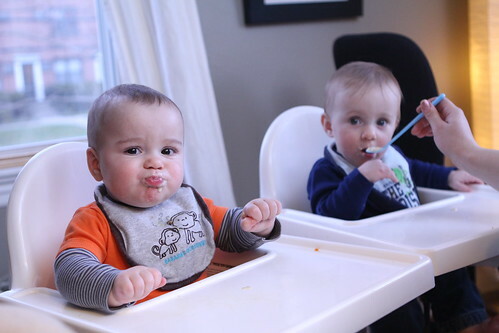 Elliott continually nodded off hitting his head on his high chair try while Martin just rubbed at his eyes and laughed maniacally. 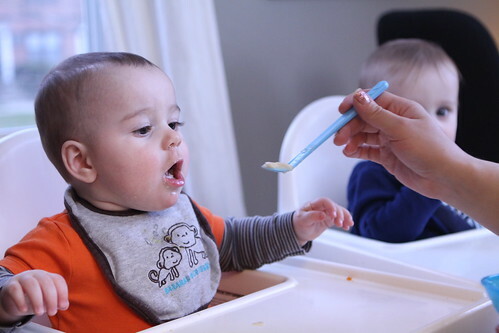 After a little bit of this we quickly put them to bed and both babies were in bed and asleep just around 7:00 PM which is fantastically early for them. Since I have almost three cases of mangoes left I decided to use some of them up in tonight's salad. 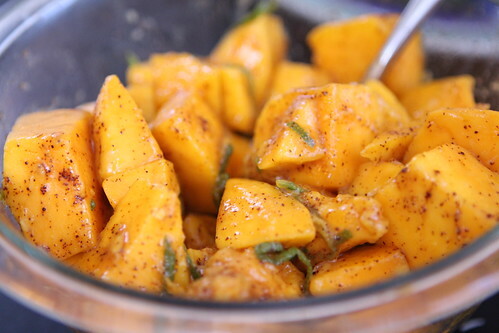 I chopped up some mango chunks then added lime zest, lime juice, cayenne, chili powder, and salt. 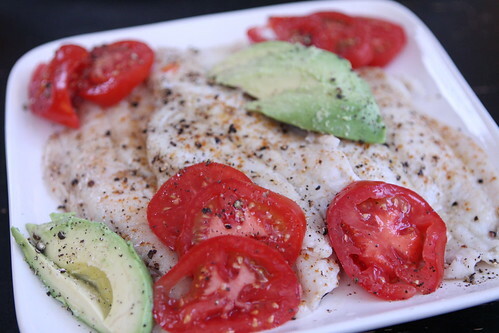 I pan roasted the remaining flounder in butter and olive oil then served them up with some Old Bay, avocado, and Campari tomatoes. 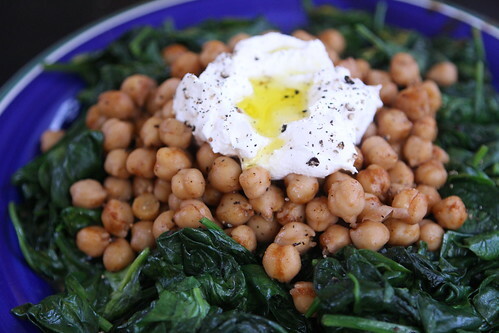 As an accompaniment I made this plate of wilted spinach, spicy garbanzo beans with Berbere, and a healthy scoop of leftover lubne with a drizzle of olive oil and freshly cracked black pepper. I also served up some toasted naan bread. 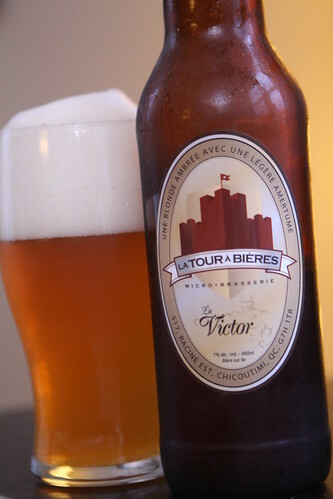 For beer I cracked open another from Quebec, this La Victor from La Tour à Bières. It was a really nice beer, surprisingly malty, and tasted like it was fermented with honey. It was stronger than usual but luckily with various baby-related distractions it took me about ninety minutes to drink it so the effects of the alcohol were minimal. I felt the same thing I generally feel after my evening beer: extreme exhaustion. Lucky for me I have about thirty minutes of dishes to do before I go to bed. That should totally perk me up.